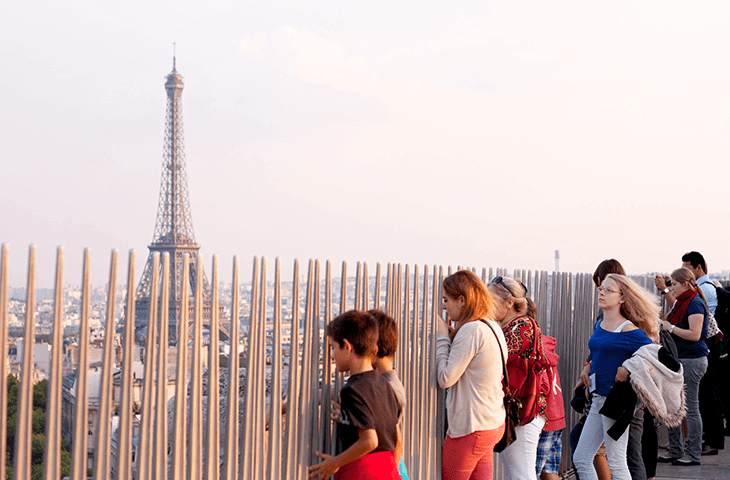 →How Much Does a Trip to Europe Cost? Deciding where you want to go first is the most important step. If you’re flexible you can save a ton of cash. By flying from your home airport to the cheapest European city, you can access the affordable and efficient local transportation networks. For example, you may really want to go to Paris, but the cheapest flight may be to Brussels or Frankfurt. Bus tickets from these cities to Paris will likely only cost between $10-$20. If you save money on your flight, you can extend your trip or have more freedom once you get there. To find your cheapest gateway to Europe, I recommend using the flight search engine. Simply type “everywhere” in the destination field and the excellent pricing chart will show you your best options. In general, expect to pay around $300-$500 each way. It’s important to decide how long you want your trip to be. Obviously, the longer you stay, the more money you’ll spend on food, and fun. This also applies to how long you stay in each city you visit; the more you move, the more you’ll spend. The greatest expenditure will be your flight to Europe, so staying more time makes fiscal sense. A month-long backpacking trip will does not cost 4 times as much as a rushed one week trip. More often than not it allows you to stay longer in one city, and find better deals for inter-city transportation. Moving between cities can be expensive. Again, balancing your priorities with price is key. To check a variety of options at once, I use rome2rio. This site puts all the information in one place, and makes comparing buses, trains, and planes a breeze. Budget airlines have made local flights an option for even the most dogged ﻿﻿﻿﻿﻿﻿backpackers. Skyscanner can also help you see if flying is a more economical way to get to your next destination. Don’t be surprised to see flights for under $20. You need to sleep somewhere and as a backpacker, the best option is undoubtedly hostels. They have their drawbacks, but nowhere else will give you the true backpacker experience. I have met some truly amazing people in hostels, and you will as well. 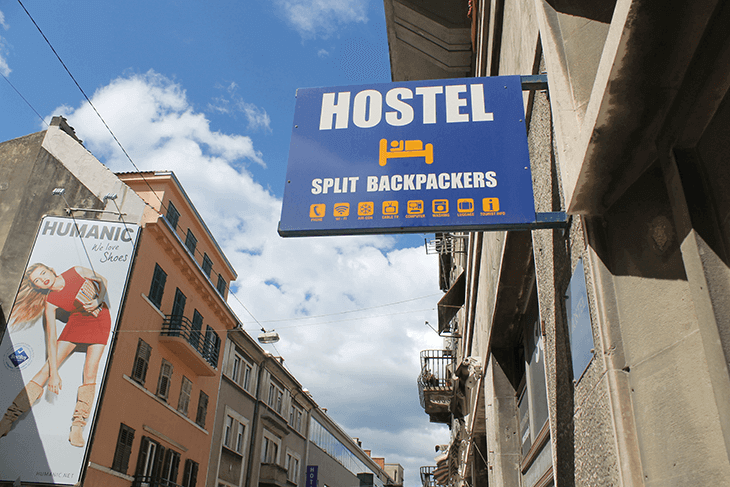 In most European cities, a good hostel will cost between $10-$30. To find and book a great hostel in any city the best resource is hostelworld. You can comb through countless reviews and book the place that is right for your budget and needs. Use all your hostel's resources. Most offer free breakfast, tours, and many guests are European. This means if you make a friend from another city, you might find yourself a free couch to crash on. The other big expenditure will be food. 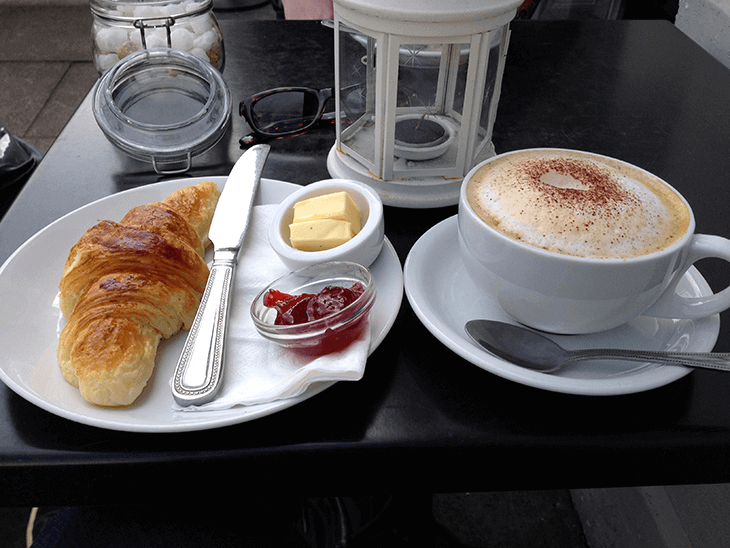 European breakfasts are typically light consisting of some bread, cereal, and coffee or tea. Usually, this costs between $3-$5. A quick take-away lunch will run around $5-$7, and a sit-down meal tab is likely $10-$15 per person. A really gourmet experience can be closer to $20-$25. Shy away from eating in tourist centers. The prices are inflated and the food is hit or miss. For good recommendations ask the receptionist at your hostel, or use the “cheap eats” filter on tripadviser. Expect to spend around $20-$25 per day on food. If that’s seems expensive, again, the hostel can come in handy. Besides the free breakfast, they usually have a guest kitchen (make sure to check online before booking) where you and a few new friends can pool some resources for a cheap cross-cultural meal. Using these tips you can cut your spending down to an extremely frugal $10-$15. There is no substitute for flexibility and early planning. If you’re feeling anxious or looking for a jumping off point, no book helped me more than Rick Steeves’ Europe Through The Backdoor. Constantly updated and full of life saving tricks and tips, it might as well be the backpacker’s Bible. The book contains a myriad of tried and true sample routes to help you get started. Furthermore, Steeves gives tips for all the big tourist destinations, as well as budgeting advice. Read it and you’ll avoid most of the culture shock most first time backpackers experience. 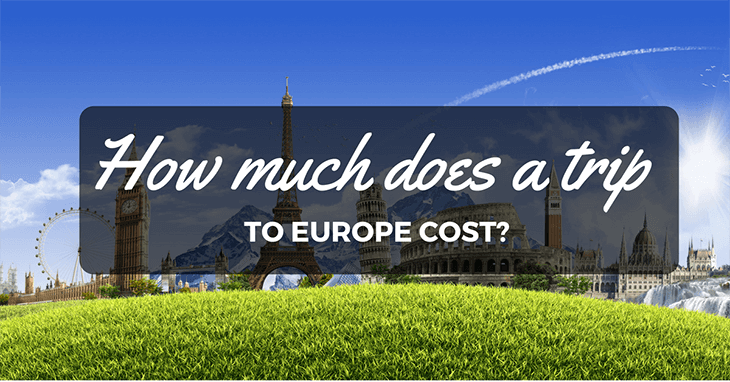 How much does a trip to Europe cost for 2 weeks? To get a general idea of how much it will cost look use the following formula: $1000 (round-trip flight) + $60 x number of nights (lodging+food+fun) + $1000 (local transport + spending money). So how much does a 2 week trip to europe cost? Around $2800, if you’re focused. Keep to the South and East: Eastern gems like Prague and Berlin offer some of the best value sightseeing in Europe. Whereas, Rome and Cinque ﻿﻿﻿Terre allow for a distinctly Italian experience at a decent cost. Avoid the North: London maybe be a top destination, but the currency and pricing are not backpacker friendly. Neither are Scandinavia, and Switzerland. Plan ahead, but be flexible: Book flights, trains, and buses a few days early. When you arrive at a destination, plan your next stop the first day. Another choice is to plan your first week completely and then start freelancing from there. A totally rigid plan can keep you from snagging deals, or chances to stay with new friends. If you have any questions about How much does a trip to Europe cost, feel free to comment below!